The main objective of this report is to analysis the Growth and Diversification of The Investments of Exim Bank Bangladesh. General objectives of this reports are to know about the loan and advance or investment procedures of the EXIM bank, to aid and evaluate the investment process applied in the bank. Here also briefly focus on theoretical knowledge with practical implications of several functions in the bank and to make a bridge between the theories and practical procedures in a real life situation. EXIM Bank of Bangladesh Limited plays an important role to move the economic wheel of the country. Providing different sorts of credit and schemes like loan against imported merchandise (LIM), Trust Receipt, Bank Guarantee, Industrial Loan, SOD, Consumer Credit scheme, Executives Car Loan, House Finance is the main spring of the credit department. Generally by the word BANK we can easily understand that the financial institution dealing with money .But there are different types of banks like central banks, commercial banks savings banks, investment banks, and co-operative banks etc. Banking system occupies an important place in a nation’s economy because of its intermediary role, it ensures allocation and re allocation of resources and keeps up the momentum of economic activities. The report is prepared on the basis of three (03) months practical experience at EXIM Bank of Bangladesh Limited that helps a lot to learn about the practical situation of a financial institution and implement theoretical knowledge in to practical and realistic work environment. The internship program plays a significant importance as it enables a student to be familiar with the practical business environment. This study is aimed at providing me invaluable practical knowledge with the consideration of my theoretical knowledge that I had gathered from BBA Program at the Daffodil International University, Dhaka, Bangladesh, and Faculty of Business & Economics Studies. It will also help me to develop my concept of Banking system and Islamic banking system and it operations in Bangladesh. To know about the loan and advance or investment procedures of the EXIM bank. To aid and evaluate the investment process applied in the EXIM bank of Bangladesh ltd.
At last to relate theoretical knowledge with practical implications of several functions in the bank. To make a bridge between the theories and practical procedures in a real life situation. Export Import Bank of Bangladesh Limited (EXIM Bank), one of the leading private commercial banks, is promoted by a group of renowned Bangladeshi entrepreneurs, and commenced its banking operation on 3rd August 1999. Within an operative period as short as eleven years, the bank has arrived at a strong financial and business position by expanding its market share compared to its contemporaries and to some extent to the 2nd even first generation banks of private sector. In addition, the bank has also made a significant contribution to the national economy under prudent leadership and untiring support of the member of the Board of Directors, who are leading business personalities and reputed industrialists of the country. Now the EXIM Bank Ltd has the72 branches in the Bangladesh and 15 branches in outside of the Bangladesh. By the grace of Almighty Allah, the Bank has started its operation as full-fledged Islamic Bank based on Shariah through conversion from conventional interest based banking system with effect from 1st July 2004 with the approval of Bangladesh Bank. It is our great pleasure that everybody gladly accepted the conversion with appreciation. It is a breakthrough in the history of Islamic Banking, because all other Islamic Banks of Bangladesh are found Shariah based since inception i.e. at the time of their incorporation. We have also experienced some traditional Banks having a few branches based on Shariah. But we perhaps, first time introduce total conversion of a conventional Bank in to a full-fledged Islamic Bank in the World. It is noted here that a learned Shariah Council, consisting of 12 members who are prominent ulema, reputed bankers and eminent economists of the country, has been formed to guide, monitor and supervise the banking activities complying Shariah principle since inception of its Islamic banking branches and thereafter transformation of its operation from traditional to fully Shariah based Islamic banking system. Professor Moulana Mohammad Salah Uddin is the Chairman of the council. Total 08(Eight) meetings of the council were held during the period. EXIM provides suitable investment services and product for some listed sectors (12). Among those listed sectors, steel and engineering, agriculture, textile and garments, housing and real estate are mentionable. Izara Bill Baia: Includes fixed repayment schedule. The terms of this investment are from 12 months (short term) to more than 36 months (long term). Continuing Investments: This investment has no fixed repayment schedule, but an expiry date at which it is renewable on satisfactory performance. Izara Bill Baia (general): for a definite period and generally repayable under installments. Izara Bill Baia(HB): Allowed for the construction of house, usually paid by monthly installments. This investment is allowed only when other business consideration from the borrower is available. Izara Bill Baia(staff HB): Allowed to the EXIM Bank employees. Other investment to staff: investments allowed to staffs other than the house finance. Bai- Muazzal: Allowed to fulfill the trading, wholesale or working capital requirement purpose. It is a continuous investment. Murabaha: Another trading investment against pledge of goods as primary security. Izara Bill Baia (HP): Installment investment inclusive of the repayment of principal and profit for adjustment of investment within specified time period. Izara Bill Baia (LF): One of the most convenient investment policy for purchasing capital machinery and equipment where clients are opportune to have an exclusive right to use an asse usually for an agreed time period against payment of rent.it is a term financing repayable by installments. Bai- Muazzal: (export): Allowed for purchasing foreign currency for payment against L/Cs where the exports do not materialize before the date of import payment. This is an investment for temporary period which is also known as export finance and falls under the category ofcommercial lending. Bai- Muazzal (WO): Allowed against assignment of work order of execution of contractual work. Generally it allowed for a definite period and specific purpose. Murabaha Import Bills (MPI): Payments made by the bank against lodgment of shipping documents and release of goods imported through L/Cs taking effective control over the goods. This is a post import temporary finance. Murabaha Post Import (MIB): An interim investment allowed for retirement of shipping from the customs authority for the release of imported goods. Trust Receipt (TP): Another temporary post-import finance allowed for the release of shipping documents and imported goods under L/C which are then handed over to the importer under trust with the arrangement that sale proceeds should be deposited to liquidate the investments within a given period. IBP: Payments made through the purchase of inland bills/ cheques to meet the urgent requirement of the customer. Temporary finance adjustable to the proceeds of bills/cheques purchased for collection. Musharaka Pre Shipment (ECC): Financial accommodation allowed to the exporter which much be liquidated out of export proceeds within 180 days. Musharaka Pre Shipment (P.C. ): Investment allowed to the exporter for processing or packing of goods to be exported. This pre-shipment investment must be adjusted from proceeds of the relevant exports within 180 days under the category “Investment on Export”. FDBP: Payment made to a customer through purchase/ negotiation of a foreign documentary bill. LDBP: Payment made against documents representing sale of goods to the local export oriented industries that are deemed as exports and which are denominated in local currency or foreign currency. This temporary liability is adjustable from proceeds of the bill. FBP: Payment made to the customer through purchase of foreign currency cheques/drafts. This temporary liability is adjustable from proceeds of the cheques/drafts. The study of a borrower is a study of his character, capacity and capital often known as the three “c” with a view to consider his credit worthiness and eligibility for a bank investment. Sometimes the words respectability or business moralities are used for character. Respectability does not mean that the borrower should be a title holder or the head of an institution. These points certainly deserve consideration but respectability is more akin to honesty in business dealings. Capacity means the ability 6o employ the funds profitability and repay the investment according to the terms and conditions of the sanction. The capacity of the customer has to determined and for the purpose enquiries will be necessary to find out his qualifications and experience in the borrowers own capital. If he has sufficient capital of his own to invest in the business besides the investment applied for he will be considered a more suitable investment customer than one working entirely or mostly with borrowed money. In order to get a complete picture of the borrower’s credit worthiness, enquiries will have to be made about his business, trade experience assets and liabilities, etc. from various sources. His account with the bank or other banks will throw light on his personal habits and business dealings. His financial statement and income tax return will have to be seen. Probably an interview with him will be necessary to elucidate or supplement the information that may have been collected. There are hardly any credit agencies in Bangladesh which assist banks in Bangladesh information is usually brief and sketchy and does not give sufficient information that could be of much practical use. It would appear that bank could be in a better position to serve the business community and themselves, if they evolve a system by which detailed credit reports on customers are communicated to each other. Status reports on borrowers are sometimes called credit reports, financial reports, bankers, opinion or confidential reports. All these terms carry more or less the same meaning. A ststus report is an assessment of the borrower’s character, capacity, and capital from the point of view of a banker. Reports through friends or rivals mostly from the borrower’ trade or business. Borrowers account with the bank or statement of accounts with other banks. Statement of assets and liabilities. In the case of companies, their balance sheets profit and loss account for, say, three years, records of the register of companies etc. Trade and other reports in the press. Reports about actions and decrees in govt gazettes. Registration, revenue and or municipal records. Other bankers and branches of the bank. Operations by a customer on his safe custody account or locker. Bangladesh bank credit information bureau. Personal contact including personal interview. Profit on various investment categories will depend on the level of risk and type of security offered. It should be kept in mind that rate of profit is the reflection of risk in the transaction. The higher is the risk, the higher is the rate of profit. Profit may be reviewed at least once in 06 (six) months and more often when appropriate. Fixed profit should be discouraged’ preferably all rates should vary with cost of funds fluctuation based on a spread for profit. Effective yield can be enhanced to the extent borrowers are required to maintain deposit to support borrowing activities. Commitment fee and service charges should further improve yield where possible. All pricing of loans should however have relevance with the market condition and be approved by the Executive committee/ Managing director from time to time. Bank is not ordinarily go for any investment facilities for long term basis. Short term investment facilities shall be for 3 months to 12 months. Medium term investment shall be 12 months to 36 months. Long term investment shall be more than 36 months. Maximum 50% (Funded & not-Funded) of total capital of the bank. Maximum 25% (Funded) Facility to total capital of the bank. The property should be physically inspected and verified jointly by 2 bank officers, one of who should be the branch manager of the 2nd officer. A valuation certificate mentioning market value and forced sale value should be prepared in the designated from supplied to the branches and to be jointly signed by above mentioned 2 inspecting officers of the bank. The forced sale value of the collateral security will have to be 1.5 times higher than the facility / facilities allowed unless specifically waived by the approving authority giving full justification. “A site plan” and “Map” along with 3r size distinct photographs of the mortgaged property covering full exposure from angles mentioning detailed particulars on the back to the photographs duly authenticated by the authorized officer (s) on the obtained by the branches. It should be ensured that the collateral is in the physical possession of the mortgagors (s) and the mortgagor (s)/ owner(s) has/have valid title over it. To choose the best profit earning investment portfolios, EXIM Bank has an 8 storied risk grading system. This grading allows the bank to define the risk profile of the borrower’s to ensure that accounts management, structure and pricing are commensurate with the risk involved. All the investment risks are determined with the help of a risk grade score card designed by the bank. condition investment for real entrepreneur of small & medium farm in the light of Islami Shariah this investment scheme facilitate project aimed to provide fixed and working capital in the field of small & medium level poultry, dairy, fisheries, and agro-based industries etc spread all over Bangladesh through our branches & SME Service Center. Record of successful business operation for 02 (two) years. For small entrepreneur limit of investment is Tk. 2.00 lac to Tk. 10.00 lac. For fixed capital validity is 01 (one) to 03 (three) years and for working capital validity is 01(one) year, which is renewable on expiry upon satisfactory business transaction. Security (Primary): hypothecation/mortgage on fixed and floating assets of the business. If the project is situated on own land, mortgage of the land and if applicable personal guarantee of (with net worth statement) 02 (two) local persons (acceptable to bank). If the project is situated on rented or leased property, security may be asked for on the basis of nature/status of the investment proposal. EXIM Abalamban is an investment scheme facilitating project aimed to provide fixed and working capital in the field of small & medium level General business and Workshop & light engineering etc spread all over Bangladesh through the branches & SME Service Centers. The product offers terminating investment facilities for the purpose of working capital finance and/or fixed assets purchase. The investment risk of the product is to cover by a strict evaluation and assessment of customer’s credit history and track record with any bank/financial institution in Bangladesh. An application in a prescribed from. A valid trade license with a document of establishment of the business. Workshop & light engineering Fixed & working capital investment. Rice mill (Chatal) – Fixed & working capital investment. Small entrepreneur limit of investment will be within Tk. 2.00 lac to Tk. 10.00 lac. For medium entrepreneur limit of investment will be within Tk. 10.00 lac to Tk. 50.00 lac. For fixed capital validity is 01(one) to 03(three) years and for working capital validity will be 01(one) year, which is renewable on expiry upon satisfactory business transaction. Security: Primary: hypothecation/ mortgage on fixed and floating assets of the business. In line with directive of Bangladesh Bank “Agricultural /Rural Credit Policy and program for the FY-2009-2010” EXIM Bank has launched “EXIM KISHAN” a new agricultural product on October 31, 2009. “EXIM KISHAN” is a short term agricultural and rural investment facility under agricultural investment by which farmers, specially share cropper and marginal farmers, are getting agricultural investment without collateral security. By this time this program has become popular in share croppers and marginal farmers. In the FY 2009-2010, Agricultural investment target was Tk.250.00 million. Bank has achieved more than 100% of the target. During the FY 2010-2011 the Bank has fixed up a target of Tk.300.00 million for Agricultural investment and as on December 31,2010 Tk.194.00 million has already been provided among 1598 farmers which is 65% of the target. It is expected that the target will be achieved by the end of the financial year 2011. BAIM (Agro) mode of investment in all crops sector as per Bangladesh Bank “Agricultural / Rural Credit Policy and Program”. Fisheries, Poultry, Cattle for plough, Beef fattening, Duck, Cheeks/ Chicken, Honey extraction, Mushroom, Dates, etc. as working capital investment for farmers. IBB mode of investment for (Capital items) Purchase farm machineries, purchase milk cow, small hatcheries, making poultry shade/building, mushroom shade, etc. As per Bangladesh Bank schedule & EXIM Kishan guide lines Mark up: One year in BAIM mode of investment but must ensure early adjustment as per Head Office sanction letter repayment schedule. Generally not allowed but exception in some limit. Hypothecation of business crops, live animal, chicken, ducks, etc. Personal Guarantee of farmer, his/ her spouse & third party, Post dated cheque, Equitable mortgage (EM) (if any), & Registered Mortgage (RM) with Registered Irrevocable Power of Attorney (RIPA) (if any/Possible) must be obtained. The following analysis is done based on the data collected from the bank. Due to the business information privacy rule, the bank just provided an overview of its average branch operation on average for the financial year 2009 and 2010. According to the collected data, the overall performance of a branch is described through the above stated graph. In 2010, income was Tk.14,33,000 and expenditure Tk. 12,05,000 and the end of the year a branch earned profit Tk.2, 28,000.In 2011,income and expenditure both are increased but the profit was increased double Tk.4, 70,000 than 2010. The client response also increased in investment and deposit from 2010 to 2011. As per the gathered information, a branch on average provided various type of investment for their client. But from the above chart we see that, it more focus on Bai-Muajjal (CC) and EXIM (Kishan). As it is a rural branch so, EXIM (Kishan) investment is more popular and at the end of 2010, total investment amounted to Tk. 06, 75,000 compared to the Tk. 10, 45,000 in 2011 than other investment. From the above chart we see that the investment activities of a branch on average in last two years. In the year 2010, branch disbursed Tk.50, 09,000 and the end of the year investment department recovered 45, 65,000 but outstanding is more due to include of (previous year outstanding + current year Disbursement – current year recovery). This situation occurred when a client take a investment from this branch and he cannot payment his full amount in the end of the year but the beginning of new year that client take another investment from this branch. For this situation outstanding is increased from 2010 to 2011. The above mentioned figure depicts, a branch on average had a very good position at maintaining their various deposit accounts due to better profit rate. From 2010 to 2011 fixed deposit and deposit under scheme increased rapidly than others. It means that, the branches are now receiving more deposit from their customers than that of any preceding years. These below mentioned graphs are prepared by the statistics collected from the financial statements of the EXIM Bank of different years (2007-2011) to get a clear overview on the data analysis reflects a clear view of the growing trend in the profit earnings assets of the respected bank. The assets increased from 28743 million taka on year 2007 to 69006 million taka on the year 2011. The credit rating of EXIM Bank also indicates a good investment operation. The SWOT analysis comprises of the organization’s internal strength and weaknesses and external opportunities and threats. SWOT analysis gives an organization an insight of what they can do in future and how they can compete with their existing competitors. This tool is very important to identify the current position of the organization relative to others. Banking Experience of 12 years provides EXIM Bank Ltd the strength of being one of the market leaders in the sector as the long-term success of a bank heavily depends on its reputation while dealing with every sensitive commodity like money. In Bangladesh EXIM Bank Ltd. has wide range of customer base and is operating efficiently in this country. EXIM Bank Ltd has a bulk of qualified, experienced and dedicated human resources. Installation and use of highly sophisticated system enables the Bank to have on time communication with all branches.
. In order to reduce the business risk, EXIM Bank of Bangladesh Limited has to expand their business portfolio. The management can consider options of starting merchant banking or diversify into leasing and insurance sector. EXIM Bank Ltd is now focusing on lending to SME and Retail sector. The bank is not only providing investment but also decided to popularize the SME sector by participating in various trade shows organized in the country. Government full support to banking sector will facilitate the long-term vision of EXIM Bank Ltd. This has a chance to inaugarate E banking System. Local demand oriented deposit and investment product. Prospect of SMEs and Agro based investment. Experienced top and mid level management. (Not Clear Enough). 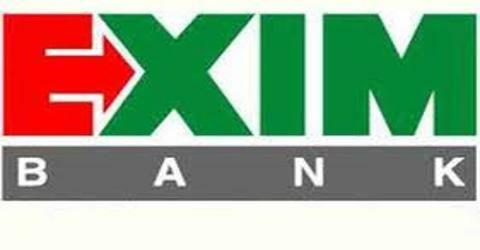 Increased competition with existing and upcoming banking business is also another threat to EXIM Bank Ltd. The default risks of all terms of loan have to be minimizing in order to sustain in the financial market. EXIM Bank of Bangladesh Limited has to remain vigilant about this problem so that proactive strategies are taken to minimize this problem if not elimination. Competitors can easily copy the product offering of EXIM Bank Ltd. Therefore the bank is in continuous of product innovation to gain temporary advantage over its rivals. Cost of client satisfaction as well as banks performance. Although EXIM Bank is a shariah based Islami Bank but they does not follow the Islamic principal fully. IT section is weak and sometimes it is hanged, as a result they employee face problem at the time of their work. Job rotation is not done in EXIM Bank and one person is performing same task regularly. Account opening form is not clear to the client, as a result client face problem to fill up the form. There is no computer in cash section to verify the cheque in Shimrail Branch. Training is not continuously done in General Banking Division in EXIM Bank. It has focused on enhancing the long-term sustainability of the bank, building value for the shareholders, employees and the wider community. Its activities are driven by ethical business practices and a sense of responsibilities to all stakeholders. As the clients are not in favor of introducing system, if it is possible the rule of introducing to open an account should be changed. Because many peoples are facing problem to arrange an introducer in the time of opening accounts. The bank should introduce VISA card facilities to provide better services to the customers for their various purposes in home and abroad. For more efficient and faster Investment Activities the lower level employees, who prepare the Investment documents, should be more trained and made well informed of all the rules and regulation regarding Investment activities. BIBM Training program or regular training by EXIM Bank Ltd should be introduced. EXIM Bank should maintain Data Base Management System for transferring data to the head office. Account opening form should be clear & concise to the client. EXIM Bank should perform their activities on the basis Islamic principles. To inspired the employees management should implement job rotation, as a result the employee can get the impression of new task. Management should take some steps to protect the problem in IT sector. From the practical implementation of customer dealing procedure during the whole period of practical orientation in EXIM Bank Limited, I have reached a firm and concrete conclusion in a very confident way. I believe that my realization will be in harmony with most of the banking scholar. Performance of EXIM Bank Limited during the last six years has proved that with strong desire and will power one achieve whatever target he may have. Almost all the leading banks in our country have various extra facilities in offer for the customers in comparison with EXIM Bank Limited but the bank has succeeded in achieving more customer than many other competitors. This has been Possible only because of strong customer relation and excellent customer service. Success in the banking business largely depends on effective lending. Less the amount of loan losses . The more the income from Credit operations the more will be the profit of the Bank and here lays the success of Credit Financing. Though there are some drawbacks in implementing Credit facilities in EXIM Bank Limited as per manual, it can be overcome through involvement of more financial expert in the decision making process and utilizing the tools to judge integrity of the customers. Finally it can be argued that though the results achieved so far are not satisfactory, Credit Financing is a modern scientific technique for enhancing EXIM Bank’s strength and there lies the opportunities to make it more effective in the future for their own benefit.